This is so awesome, love the addition of the sound effect and music! You should definitely think about sharing this with the Doctor Who Official social media because they'd be sure to share it! Thanks! 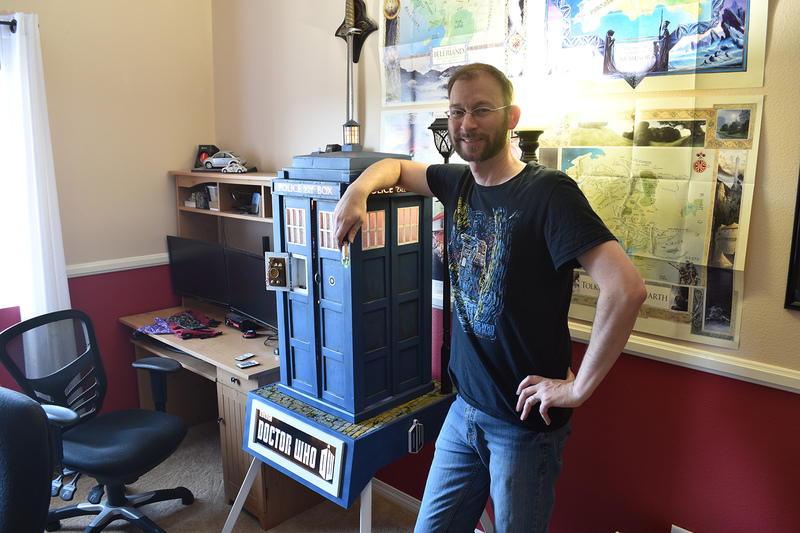 It’s funny, weeks ago my mother said I should send pics of this to the BBC (followed by her wondering how long Dr. Who had been on the air...). I kind of dismissed it at the time because I figure that lots of people have built replicas of this and mine was hardly unique, and not even life-size. But I hadn’t thought of the Dr. Who social media - good idea to share it there. Also when I changed my scratch build status to complete there was a gold star that disappeared - does that matter at all? Thought I'd do a self portrait to give folks a sense of how big this is. I'm 6'2".